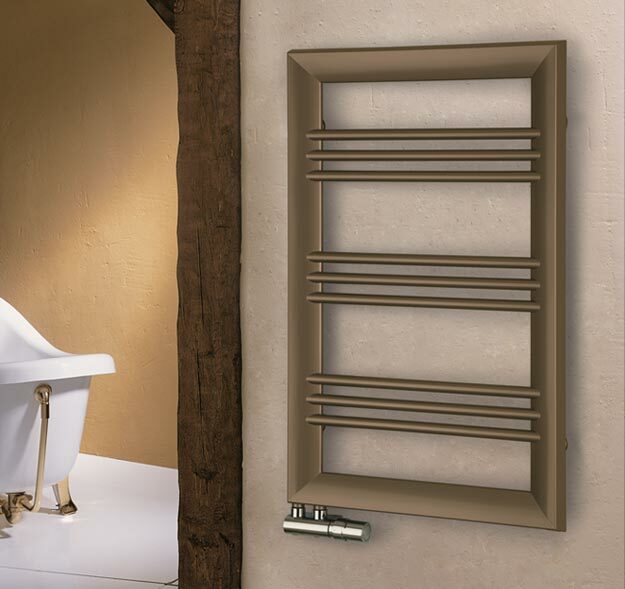 A stylish towel heating radiator with a picture frame surround. 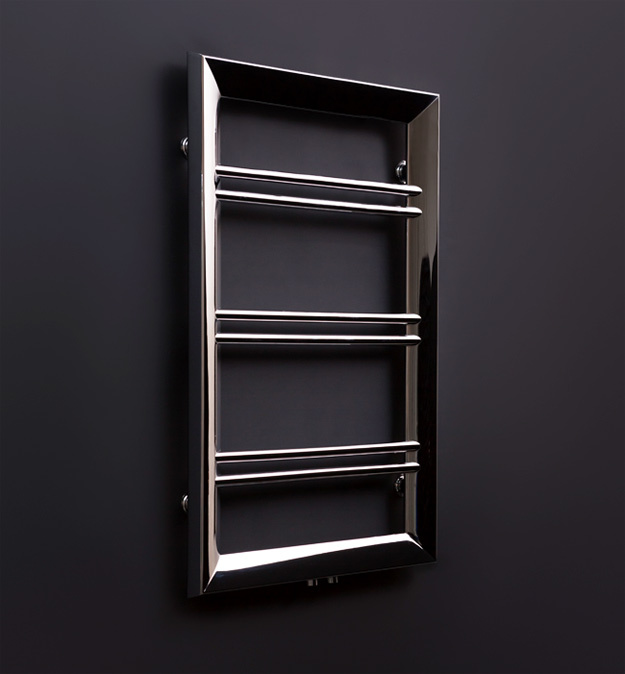 This European made towel warmer is available in a polished chrome finish as well as a metallic bronze finish. 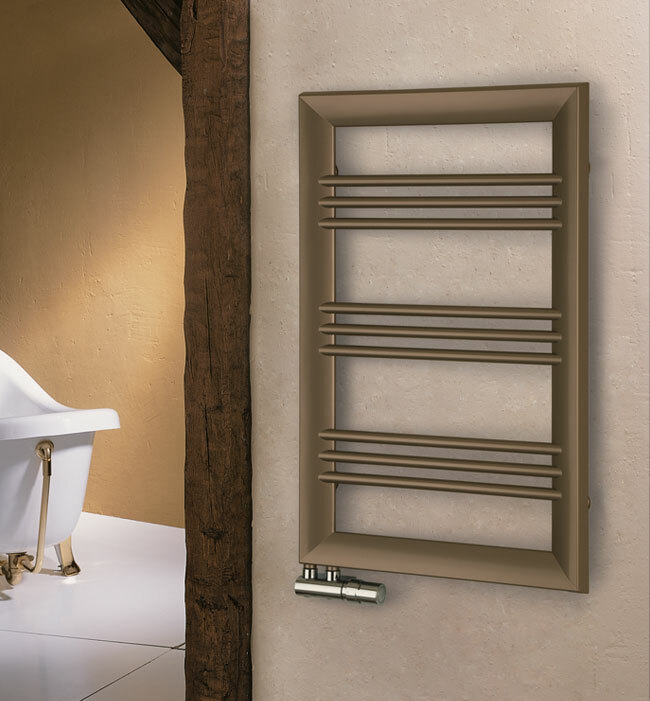 Designed for water central heating systems. * Made in the EEC. 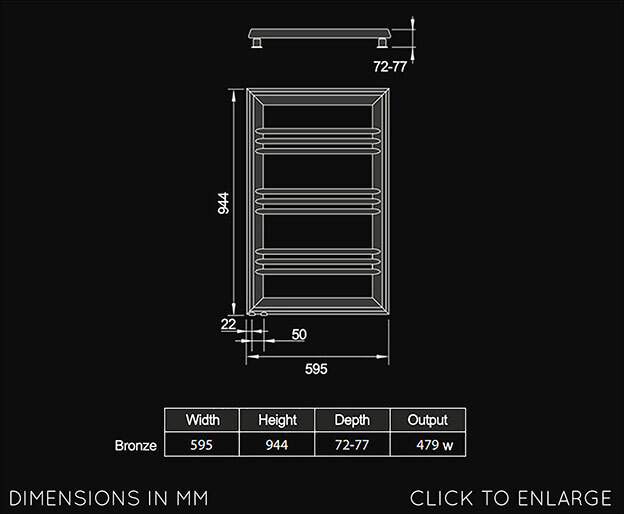 * Chrome or bronze finish.